Cam Varner is the President of Recruiting Solutions. He officially joined the Recruiting Solutions team in 2012 after interning with the company in 2011. 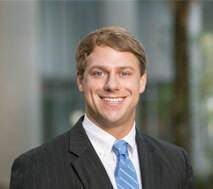 Prior to Recruiting Solutions, Cam grew up in Greenville, SC and studied Finance at Clemson University. Cam’s favorite part of his job is the individuals that he gets to work with on a day to day basis, making it great place to work!